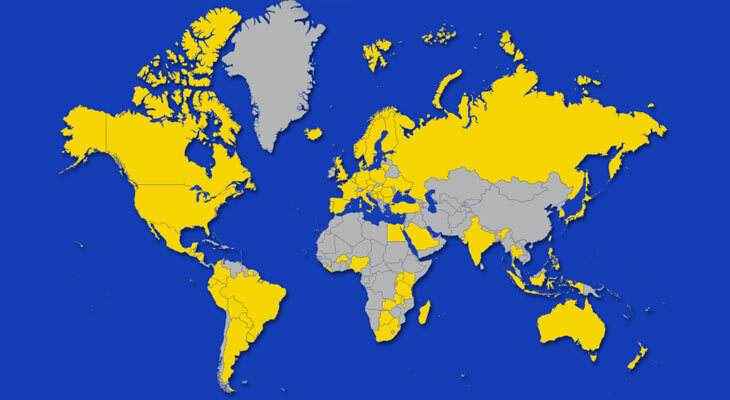 With implementation activity in over 90 countries, Lions Quest truly is a global program. Over 550,000 educators around the world have been trained and certified by LCIF to implement Lions Quest in classrooms, after school settings, and even on the athletic field! More than 13 million young people have benefited from the program, making it one of the most widely used life skills and prevention programs in the world. Curriculum materials have been adapted and translated into 40 local languages. In each country where Lions Quest is implemented, curriculum materials are reviewed and adapted to ensure they conform to cultural norms and the local education structure. Curriculum translation and adaptation empowers local educators with a program that is culturally relatable to teachers, students and their families. This is integral to the program’s mission to unite the home, school, and community. Lions Quest staff is available to help Lions and educators in new countries begin the translation and implementation process. In some cases, LCIF Core 4 grants are available to help Lions translate and adapt Lions Quest materials. Lions can review funding options here. Please check the list of current Lions Quest countries to determine if the program is active in your area. LCIF can then put you in touch with the Country Director and other key contacts to help you get Lions Quest started. If Lions Quest is not yet active in your country, please contact LCIF directly so that we may help you begin the implementation process.